We are delighted to have achieved Building Information Modelling (BIM) Level 2 Certification for Design and Construction from the British Standards Institution (BSI). 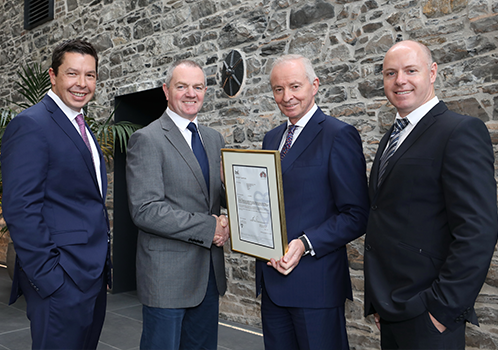 The BSI BIM level 2 certification is highly sought after in Ireland and the UK and is the premier kitemark in the construction industry. This demonstrates that our BIM management systems are fully aligned with recognised international standards and we have the ability to deliver BIM projects to the highest level in the construction industry. The use of BIM has been widely adopted on our projects across all sectors including data centres, pharmaceutical, office, residential and hospital projects. BIM facilitates an enriched environment for collaboration with all project stakeholders, drives efficiency through time and waste reduction, resulting in cost savings and improved quality. By continuing to embrace the use of technology and innovation throughout the business we are constantly developing new ways to improve the level of service and value we provide to our Client base.